The Apple v. Samsung lawsuits should be illuminating to all of us regarding Apple's character. Recently, Samsung was found guilty of infringing on several of Apple's utility and design patents. Samsung was ordered to pay Apple US $1 billion. Now Apple wants to ban the Samsung Galaxy SIII. Will Apple ever be satisfied, they are already the most valuable company to exist? Apple is acting like an entitled monopoly. Moreover, the US patent system is failing us, and helping to create Apple's monopoly. There is no doubt that for innovation to continue the Sherman Antitrust Law, which prohibits monopolies, must trump the broken patent law system. Everybody understands that there are patent laws and that Samsung was found guilty of infringing on Apple's patents. However, the patent laws are flawed, especially for design patents. How can you patent curved corners on a rectangle? If the clothing industry, which would need design patents the most, thrives without them, then so can gadgets. Clothes are much easier to copy, yet people consistently pay more for the original because they value a certain brand. Has anybody seen a decrease in innovation in the clothing industry? To the contrary, the health of the word "fashion" is proof of success of the clothing industry's brand system. The word fashion is inherently about clothing and innovation. Apple already has strong brand recognition and loyalty. 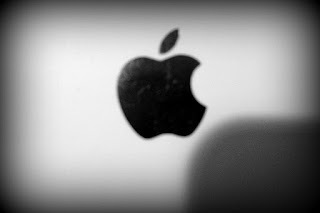 Nobody can take away their beloved once-bitten apple logo. Design patents should not exist. The data proves that a brand system is sufficient. The second type of patent is a utility patent. These are given for a certain function (e.g., pinch to to zoom). Utility patents should expire in a timely fashion relative to the time it takes to research the technology. In a fast-changing technology sector like mobile phones and tablets, no utility patent should last longer than one year. While there was a lot of hard work done in Cupertino, CA, Apple built the iPhone off the backs of other ideas. Apple did not have the first cell phone. Apple was not the first to use 2G and 3G bands. Apple was not the first to have an all-touch phone. Apple was not the first to have a rectangular phone. Apple was not the first to have icons. Apple was not the first to have multitouch, etc... Apple was hardly the first to anything. What Apple did was put everything together into the prettiest and most functional package on the market. Apple played by the rules, it copied what it was allowed to, like the notification bar from Android. Apple also bought out technology and got licenses for other pieces. But if history can teach us anything, goodness goes beyond playing by the rules, for the rules can be flawed. If the ultimate goal is consumer satisfaction, the rules are horribly flawed. If you think the laws should exist to protect shareholders profits, you are wrong, but even then the current patent laws only help to protect a monopoly's profit. Apple has gone too far in limiting consumer choices for the sake of protecting their hundreds of billions of US dollars. The hidden outcome of the Apple v. Samsung ruling is that people that were already dubious about Apple as a company, but bought Apple products anyways, will now look elsewhere. Good entry but I don't the the comparison to the fashion industry is valid. The amount spent on R&D for a technology product must be astronomical compared to R&D for a clothing design. French cuffs vs. Pinch to zoom. You do the math. Thus why it makes sense for the fashion industry to not have patents.